John T. Crowley passed away on Wednesday, November 19th 2008. Ironically, it was his 55th Birthday. He will be greatly missed not only by his family and friends, but also by our organization, the Central States Archaeological Society. If the measure of a man is through his deeds in life, then John T. Crowley’s devotion to archaeology and the CSAS is surely something to be admired. 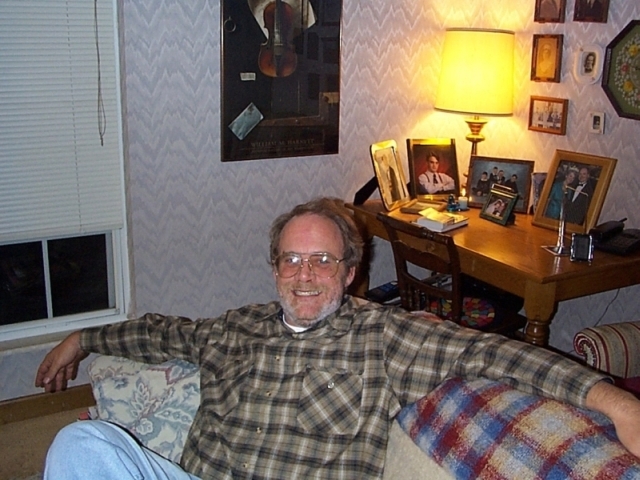 John originally joined the Greater St. Louis Archaeological Society in the early 1980’s. A devoted field collector, he quickly became involved in that society. He started writing about collecting and archaeology in the local St. Louis area around 1990. Eventually he became their state editor. When Alan Banks left the position of CSAJ Editor after 10 years in 1996, John volunteered to fill the position. John became a tireless volunteer for the CSAS for the rest of his life. His first issue was Volume 43 Number 4, October 1996 and his last Journal as editor was in January 2004. But his work for the CSAS didn’t end at that point. He produced the huge 50th Anniversary Issue that came out in October 2004. He then went on to create an emergency issue in April 2005 with the sudden departure of Ellen Worley. Finally, in 2007 he became President of the CSAS. He was instrumental in my step up to becoming editor of the CSAJ, and has been a huge source of help and support since the moment I agreed to the position. He helped edit the recent Arkansas 50th and was planning an article for this issue. John’s motto was Write Your Page in History. If you were to examine his efforts, surely John did write his place in history. He began his ON THE SURFACE column in his first Journal and would continue this column for the next nine years. He wrote more for the Journal through this column than anyone else. He never tired of contributing. Assuming the job of editor, I had no idea of what I was getting into. It was John who offered countless hours of advice and encouragement. He went over each Journal line by line in a huge effort to help make each issue as perfect as possible. He would call at least once a week and discuss the upcoming issue. When a problem occurred, he would lend a hand. John truly was “always there.” I will greatly miss his insight, ideas, solutions and overwhelming enthusiasm for the Journal and the CSAS. In his own words John described the Journal as “a publication near and dear to my heart.” Later he wrote, “It has been an honor and a privilege to serve the CSAS.” John really felt this way in life. For all the members of the Central States Archaeological Society, I would like to say it has been an honor and privilege to have John Crowley as our President and Editor-in-Chief. John truly wrote his page in history and our thanks go out for all of his efforts. 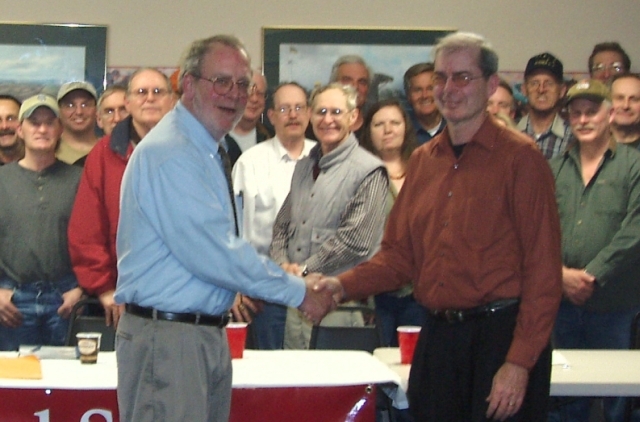 John shown here on the left shaking hands with Dr. James Cherry at the 2007 CSASI Officers meeting.